Countries affected by a shifting of the 2022 World Cup to the cooler winter months in Qatar will not be granted recompense, despite demands for such a concession, FIFA has said. In an interview with German press today, FIFA President Sepp Blatter said Qatar was chosen to host the games in part because of its wealth. “Yes, there was definitely direct political influence,” Blatter told Thursday’s edition of German weekly Die Zeit, Blatter. The disclosure is likely to fuel allegations that Qatar “bought” the bid, which continue to swirl nearly three years later. Blatter, whose support for Qatar has been on and off in that time, added that a “new, independent ethics commission” is being set up to re-examine the awarding of the games to the Gulf country. The world’s governing football body is set to discuss changing Qatar’s World Cup calendar when its executive committee meets next month. During that meeting, the Football Federation of Australia said FIFA should take into account the money other countries, including itself, spent bidding for a summer World Cup. “As part of the bidding documents all bidders, including the FA Australia, accepted that the format and dates of the staging of the Fifa World Cup and Fifa Confederations Cup, though initially expected to be in June/July, remains subject to the final decision of the Fifa Organising Committee. Meanwhile, Qatar is continuing to prepare to hold the games in the summer, though it has said it is happy to host in the winter if that’s what FIFA decides. Temperatures in June and July, when the games are scheduled to be held, can reach up to 50C (122F) here, a fact that is causing increasing concern among members of the FIFA community. The heat, along with Qatar’s dubious labor record and its restrictions on alcohol, are some of the reasons FIFA’s decision has been seen as so controversial. 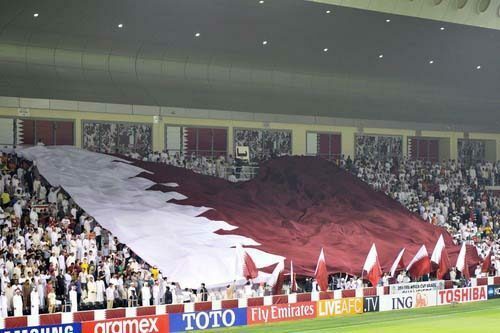 But xenophobia could also play a factor, several supporters of Qatar’s bid argue.